A manufacturer of equipment green spaces, from grape picking machines to tree pruners, Pellenc has heavily invested in R&D to enable its growth. 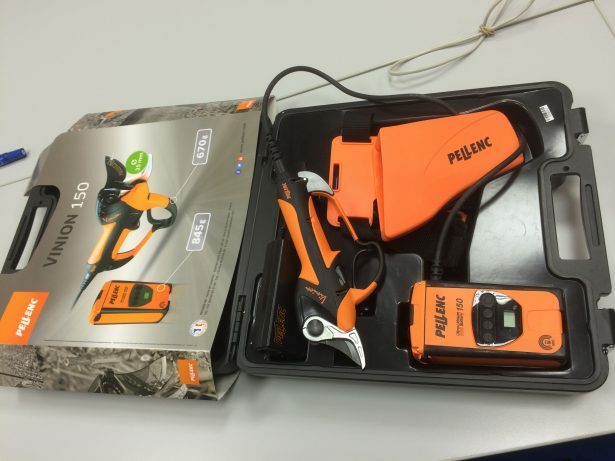 While Pellenc used 60 licenses of SOLIDWORKS 3D CAD and SOLIDWORKS Flow Simulation for product development, most of the cosmetic and ergonomic design was outsourced. 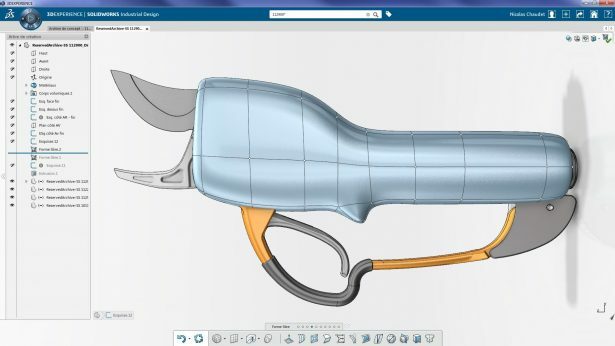 In order to remove the challenges faced when integrating the paper draft model or 3D surfaces provided by the designers into SOLIDWORKS CAD, Pellenc turned to SOLIDWORKS Industrial Designer. Moving the industrial design work in house would also allow the company to more easily innovative and respond to market needs. After only a few days of using SOLIDWORKS Industrial Designer, the Pellenc designers were able to easily model complex shapes, and iterate through different concepts, even after the models had been transferred into SOLIDWORKS. One of the first projects designed in Industrial Designer was a new series of secateurs (pruning shears), developed to have the best weight/power ratio in the market. They needed to provide a high-handling ability with incredible compactness and a small battery that would work throughout the full day. The design also needed to be attractive and so ergonomic that it seemed like an extension of the hand. 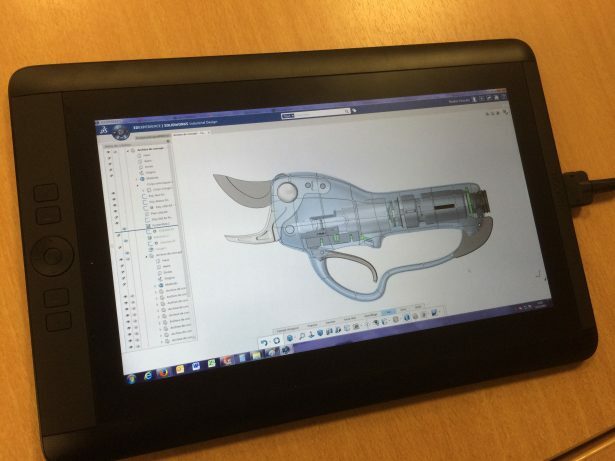 Pellenc developed the secateurs by pulling in the mechanism from SOLIDWORKS CAD and then designing the shell around it by freehand sketching on a tablet. They then created a freeform volume that closely resembled the freehand sketches. The engineers at Pellenc combined the freeform with parametric functions to scoop out the front of the tool and insert the blade. With SOLIDWORKS Industrial Designer they could also analyze the clearance before taking the secateurs back to SOLIDWORKS CAD for the next step in product development. Pellenc also benefited from the online access to the model anytime and anywhere. They could, for example, validate a mold while visiting a subcontractor or modify the part remotely. The collaboration features also allowed the team to share information with all the contributors, wherever they were, to talk about project progress and make faster decisions.